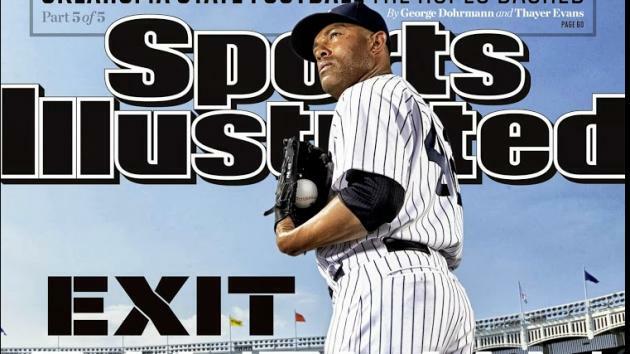 The September 23, 2013 issue of Sports Illustrated carried a cover story on Mariano Rivera. Rivera—known as Mo to baseball fans—is the unparalleled closer for the New York Yankee pitching staff. After 23 years in professional baseball, Mo is retiring. As I read the article I kept thinking of one word: “legacy.” His teammates and opposing players to a person had nothing but great things to say. Beyond platitudes and catch phrases, the words had reverence and respect. This man has built a solid career on disciplined work, ethical behavior, and mentoring of young players. On the last night he pitched in Yankee Stadium, the love was palpable on the field and in the stands. The fans knew they were in the presence of greatness. Mo did not need to showboat, pound his chest, pull out his shirt or otherwise call attention to himself. He simply did the best job each night for his team. He has created and will leave an enduring legacy of class and athleticism. Years ago, when I taught high school psychology, I remember explaining the concept of “generativity”. Erik Erikson said it was the drive, in the later years of life, to leave something to the next generation. In short, to make a difference; leave a positive mark. Each of us creates a story –our story. The story is not created by one event, one day, or one year. Your story, my story—all of our stories—are the sum of the small yet consistent choices we make and do each day. Our thoughts become our words which influence our actions. The sum of our actions creates our destiny—our legacy. In many ways I feel so fortunate to be in a calling that allows me the opportunity to leave a mark each day in the classroom, on campus and around the nation. The sum of all those actions is still to be determined. Thoughts, words, actions, destiny, and legacy. This entry was posted in generativity, legacy and tagged destiny, generativity, legacy, purpose. Bookmark the permalink. 2 Responses to (#175) What Legacy Are You Creating? That is so true if people only take the time to realize that one day and a couple of events don’t make our legacy but build it in time, years of being the best you can be and giving your all is what starts you in creating that legacy. I, to one day will have a legacy that started from a teen mom to becoming the first college graduate in my family. And then the best Nurse that i can be. We all have to realize it take trials and tribulations that pushes us and allow to have a legacy that will carry on past one generation to many others.Because, we never “gave up” on our dreams and goals.